This entry was posted in Faith, Thoughts and tagged Christianity, Thoughts by DBreitenbeck. Bookmark the permalink. 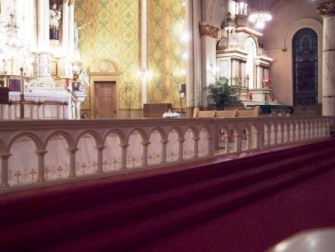 Our parish had a communion rail, but because of various causes it was ignored for about five years. Recently our new pastor opened it back up on one side (e.g. those who wish to kneel can go to the right and those who wish to follow the new Mass tradition can stand on the left) and to say that it went over well is an understatement. What a blessing!